Hi I want to login at Ahmedabad university website for online admission so provide me the portal login of this University? 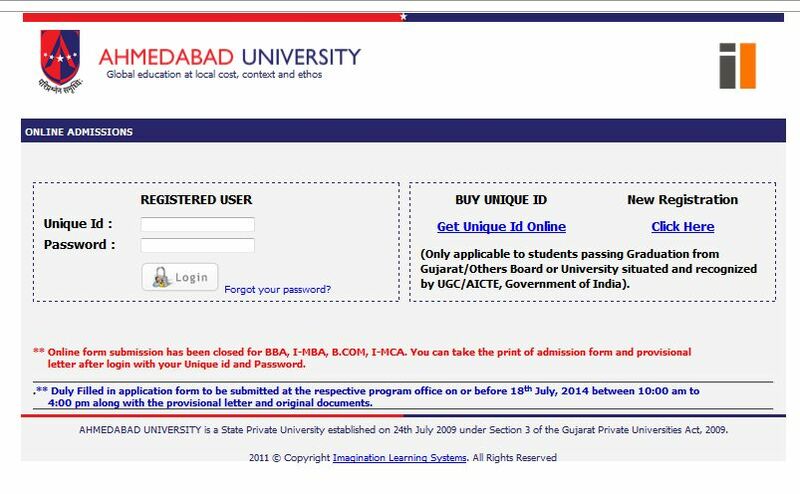 To login at Ahmedabad university website, follow this process. On this page enter your Unique Id and Password and then click on the login button.